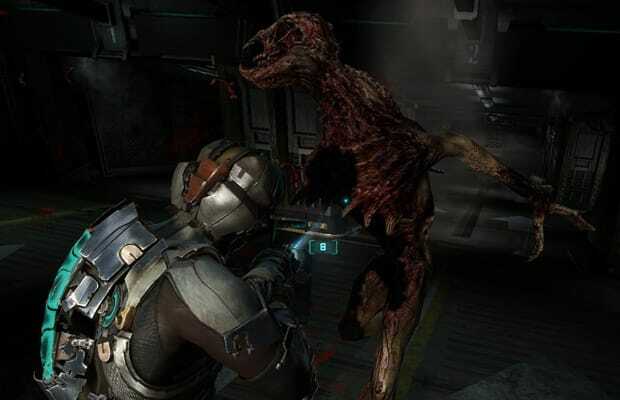 Stalkers probably aren’t the hardest enemies in the Dead Space universe, but their raptor-type behavior is the stuff of nightmares. Unlike more traditional necros, these arrow-headed, bird-like creatures won’t just blindly attack you on sight, preferring instead to wait in obstacle-filled rooms, poking their heads out at Isaac and squawking at their comrades until he is deep enough into a room. Psych warfare aside, when they deem you close enough these hunters start working in tandem, attacking from the sides, darting behind obstacles and leaping to higher ground to gain better vantage points all while seeming to coordinate with each other on the fly. Their maze-like environs Stalkers frequent mean there’s virtual no way to protect yourself from all sides, and the guttural shrieks these monsters let loose when charging at you are guaranteed to make your blood run cold.